This paper presents a survey of Indian third-party logistics (3PL) providers and compares the state of the industry with that in 2004 based on an earlier survey. The 3PL industries of India and North America are also compared. The survey finds that the Indian 3PL industry lags behind North America in terms of global reach and breadth of service. Indian 3PL providers also underperform in key variables that determine performance levels. Other problems identified by the survey are the lack of awareness among Indian shippers, shortage of management talent, inadequate infrastructure, complex documentations, and multiple tax systems. Despite these limitations, the Indian 3PL industry is growing. Many global players are entering the Indian market through direct investments, acquisitions, and alliances. The Indian government is also improving the infrastructure, reducing paperwork, simplifying taxation systems, and implementing economic policies conducive to growth. 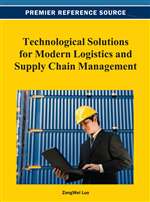 This paper provides significant insights for logistics managers, government, and other stakeholders. There is growing interest in third-party logistics (3PL) or logistics outsourcing among practicing managers and academicians alike as shippers worldwide are increasingly outsourcing their logistical activities in order to reduce supply chain complexities, curtail costs and overheads, and expand their global reach. By outsourcing logistics, companies are able not only to focus on their core competencies, but also to realize better delivery performance and therefore customer satisfaction. According to the research done by Armstrong & Associates, Inc., global gross 3PL revenues in 2007 were USD 487 billion, out of which the U.S. accounted for USD 122 billion or about 25% of the global market (Quinn, 2008). Although due to the global recession and hike in fuel prices, the 3PL sector, like any other sector, has been affected, there are opportunities as well for 3PL companies since shippers are outsourcing transportation, warehousing and other logistical activities like never before in order to reduce costs and remain competitive (Thoppil, 2008). So far, there was lack of clarity on 3PL and their roles and responsibilities. However, very recently the role of a 3PL has been recognized by the U.S. federal law. The law accords the status of an intermediary such as a carrier or forwarder to a 3PL provider and specifically stipulates that a 3PL provider is not to be considered a manufacturer, distributor or retailer, exempting 3PL companies to a great extent from stringent legislations and regulations applicable to manufacturers, distributors and retailers towards rising concerns over cargo security and consumer safety (O’Connor & Anderson, 2008). Due to the growing interest in 3PL, there have been many academic and trade publications. While academic publications address theoretical issues and their practical implications, trade publications are mainly concerned with practical issues. Academic publications take various forms such as (i) theoretical and conceptual model development, (ii) empirical surveys, (iii) studies on 3PL relationships and partnerships, (iv) supplier evaluation and selection, (v) role and use of information systems and technologies, and (vi) case studies of 3PL companies. Most of the academic research is based on empirical surveys. Langley et al. (2007, 2008) conduct longitudinal surveys of 3PL users wherein they observe persisting gaps between expectations of users and achievements of service providers in terms of value-added service offerings, green supply chain initiatives, deployment of IT and security concerns. While shippers mostly outsource relatively commoditized services such as transportation and warehousing, they still maintain skepticism in outsourcing customer-focused and more strategically-oriented services that may directly affect revenue streams, and hence prefer to keep these services in-house. With regard to green supply chain initiatives, shippers would be willing to share the additional costs, if any, equitably with service providers. However, in practice, it is observed that in many cases shippers pass on the entire cost burden to service providers (Blanchard, 2008). Service providers are also not able to meet the expectations of shippers in terms of deployment of IT and security measures after security requirements have been made more stringent for international shipments.